How many times have you seen on the news or read in the newspaper (okay, read online because nobody reads the newspaper anymore) that a famous athlete or actor or musician or politician was arrested for a DUI (Driving Under the Influence) or DWI (Driving While Intoxicated)? What happens next? Typically the offender’s attorney or the courts will suggest pre-trail intervention in the form of a DUI or DWI Education class. Or the offender, at trial, will be sentenced to a drug and alcohol prevention or education class that covers a considerable period of time. The thought process here is that education and prevention is necessary in the cases of people that perhaps have made a bad decision or mistake to drive while intoxicated and gotten caught. The thinking is that it doesn’t make sense for these first time offenders to be sentenced to addiction treatment for their mistake. This is absolutely the truth: Not every person that gets a DUI or DWI is an alcoholic or a drug addict and certainly not in need of addiction treatment or a stint in rehab. 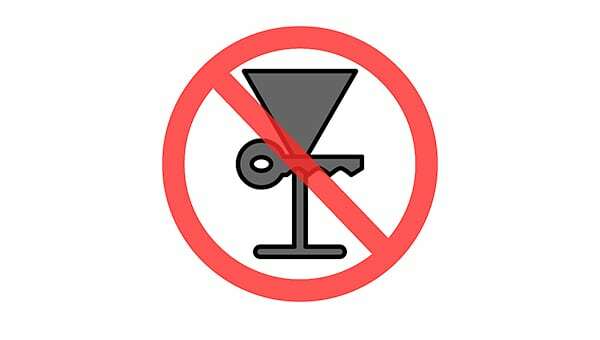 However, here are the alarming stats: More than 80% of DUI offenders have a significant problem in their relationship with alcohol and fall into the category of alcohol abuse or alcohol dependence. Additionally, DWI and DUI recidivism is not considered to be caused by alcoholism or addiction (meaning just because someone receives multiple DUI’s or DWI’s, does not necessarily make them an alcoholic or drug addict), but instead is considered to be caused by high-risk decision making and the lack of restraint or self-control to resist the impulsivity of driving drunk or under the influence of substances. Most organizations that study the statistics of DWI and DUI offenders and DWI and DUI recidivism rates agree that most offenders receiving a DWI or DUI are seen as a whole to either have an issue with substance abuse, are developing an issue with substance abuse or will go on to develop a substance use disorder. Therefore, although clearly throwing any person that receives a DUI or DWI into an addiction treatment program or a rehab seems excessive and extreme, it also makes sense to wonder if the statistics tell us that the majority of offenders will eventually develop a substance abuse problem, is mandating hourly drunk driving education or alcohol and drug prevention classes the best way to approach the problem? It would seem that spending hours educating adults that driving drunk is a bad is a waste of time and resources. Anyone that knows someone with a substance abuse problem also knows that 1) they already know that driving drunk is a bad, and 2) knowing that fact and having that fact prevent them from driving drunk again are two completely unrelated things. Perhaps it would be best to mandate some form of therapy for offenders? Perhaps getting down to underlying issues or social issues or decision-making issues would be more effective? Perhaps finding more interactive and effective techniques or modalities than having offenders sitting in a classroom for an hour a night for 12 weeks in the hopes that they will learn something that will make them not do something they already know to be a bad decision would be a step in the right direction? Regardless, the facts demonstrate that DUI and DWI offenders (even those committing their first offense) are more likely to repeat that offense and eventually develop a problem with drugs and alcohol. Eventually, many will need treatment. The fact remains that DUI’s and DWI’s are pretty good predictors of future substance abuse issues and addiction. If you or someone you know is in need of help because of drug and/or alcohol abuse, please give us a call. Maryland Addiction Recovery Center offers the most comprehensive addiction treatment in the Baltimore, Baltimore County and entire Maryland and Washington, D.C. area. If we aren’t the best for for you or your loved one, we will take the necessary time to work with you to find a treatment center, rehab or provider that best fits your needs. Please give us a call at (410) 773-0500 or email our team at info@marylandaddictionrecovery.com. For more information on all of our drug addiction and alcohol addiction services and recovery resources, please visit our web site at www.marylandaddictionrecovery.com.